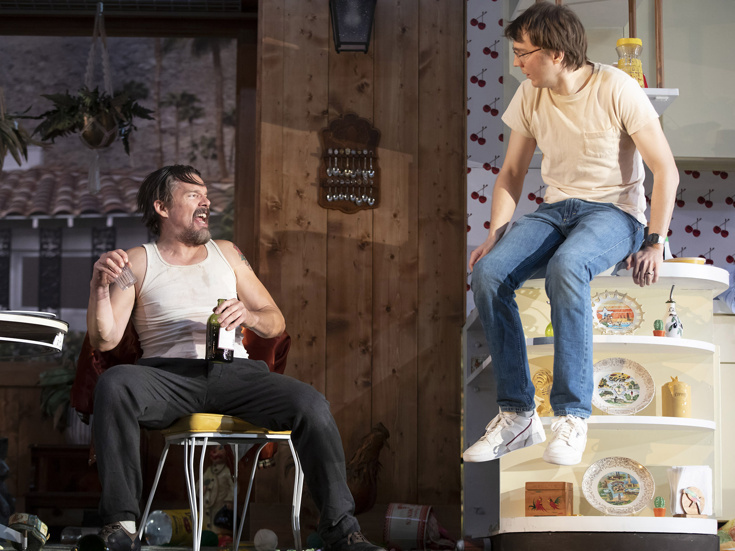 Ethan Hawke & Paul Dano in "True West"
A celebrated new Broadway revival of Sam Shepard's True West opened at the American Airlines Theatre on January 24. Buoyed by strong reception and electrifying lead performances from Ethan Hawke and Paul Dano, the show has seen a post-opening box office increase. The Roundabout Theatre Company production, directed by James Macdonald, brought in $487,144.30, up from the prior week's gross of $456,818.50, and filling the theater to 92.09% capacity. This production is slated to play a limited run through March 17, so make plans now to experience this classic work in person. Here's a look at who was on top—and who was not—for the week ending February 3.